You should know that the quality of your rifle scope can be given more priority than the quality of your rifle. Also, how can be familiar with the work of your scope and choosing which one is best for you may be the big questions. Now, it no longer is a mystery after you read this content! Let’s start with the Anatomy of a rifle scope. 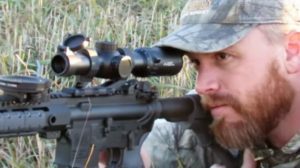 What types of rifle scope? The most significant parts of the scope are Lenses. The Objective Lens is larger and it’s at the target end of the scope. Light passes through it to Ocular Lens, which is closest to your eyes. The section houses the Objective Lens is the Objective Bell while Ocular Lens is held by Eyepiece. Most of the scope lenses are generally waterproof and fog-proof. They primarily affect brightness and magnification. The Ocular Lens will magnify the light from Focal Place. You will see the exact image of that light when looking through a scope. To get more brightness, you should take the bigger Objective Lenses, but the thicker ones will need to have higher magnification. Scopes also have a Reticle (or Crosshair). 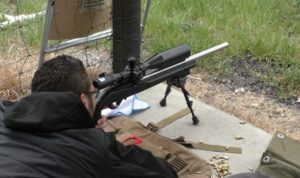 Its purpose is to make the marking as an effective way of proper shooting and scope adjustments. Turning a power ring will change the magnification setting on the scope. To illustrate, you can triple your normal vision from 3x to 9x if you set your scope to 3x magnification. Any object you watch through the lens will appear three times larger than the prior view. 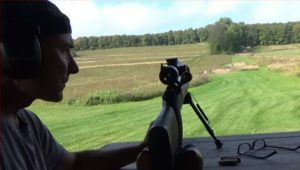 However, switching magnification settings might cause parallax error which means the aim will be off the target if the position of your eye shifts. You should choose adjustable objective lenses to correct this problem. Eye relief is the space between the Ocular lens and your eye. It allows you to get a proper view without parallax. If your eye is not close enough, you can’t get the whole picture clear. Two alignment features that affect the scope’s sight. The Windage Adjustment twists the horizontal settings while the Elevation Adjustment tweaks the vertical settings. The main body of the scope called the Tube. The most usual diameter sizes of the tubes are 1-inch and 30-millimeter tubes. 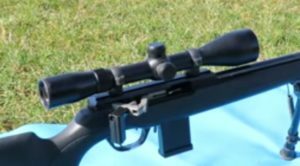 The diameter of your scope’s tube will determine the correct Mounting Ring which is used for attaching the scope to your rifle. 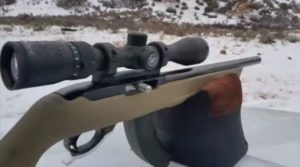 Before you mount the scope, make sure that you hold a rifle in a comfortable position. Then you need to prepare the necessary equipment and tools involving the scope base, the mounting rings, screwdrivers, and wrench. The scope base is connected with your rifle with either clamps or screws, depending on the base kinds. There are Weaver, Picatinny, Redfield/ Leupold type of scope base. You must match it entirely correct with the mounting rings as well as your scope. Any wrong assembly may cause serious consequence. For the mounting rings, they are two-piece clamps. The lower part will be applied directly to the scope base, and the upper half of the rings will hold the scope of staying in place. Pay attention to the size of your scope’s objective lens to verify the height of your mounting rings. Your rifle’s receiver and the bottom of the base need a light layer of oil. Then, you join the base to the receiver and the bottom half of the rings to the base by the right length of screw for each hole. Sighting-in is the process of aligning your scope. It takes time and effort to achieve perfect accuracy. Tighten each side of the mounting rings. Ensure that the gap between the top and the bottom piece of rings is the same in all sides. Install the bore sighter in the muzzle. The scope’s reticle and the reticle of the bore sighter must stand in line. Use windage and elevation controls to adjust until the crosshairs overlap precisely. Take off the bore sighter before you load and fire your rifle. Ensure your shots hit right above the center of the target. Good news, you’ve succeeded to sight in your scope! However, each scope comes with different varieties. If you are a deer hunter, what will suit you? Keep reading and find the answer. Tactical function seems to be in every scope with a 40x magnification and a massive Objective Lens. But it’s still not a fabulous feature. A real tactical scope may have as low as 4x magnification so that it will maximize the rage of sight engagement, extend it even from 300 meters to 600 meters while restricting the close-range capacity. This feature is the standard of a tactical scope. 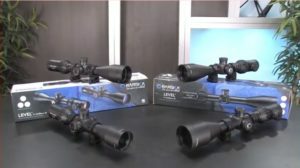 Sniper scope is the high power optics with specific setups for your scope use by military snipers. 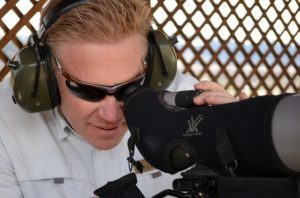 It’s not easy to use the scope like this for long-range target, but the magnification will be so excellent while you are attempting to keep the visibility, durability, and field of view. 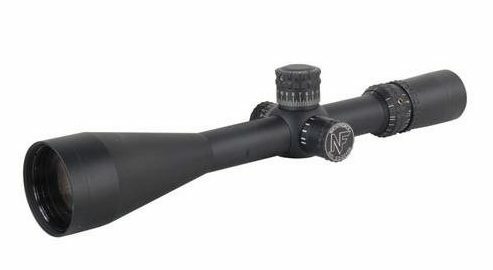 Most hunting scopes are simple to use and capable of handling time without being hindered by other impact factors such as harsh elements or occasional obstacles. The ordinary hunting scopes are usually less than 20-power with a plain reticle. There is a variable power or a fixed power scope. Generally, they have large Objective Lens to supply more light for brighter and clearer views. However, a scope with more than 20-power is a bit excessive. You don’t need to have the power of military scope, but you need to make a precise adjustment for sighting in the scope. If you own a 40x scope, the only viable purpose is in competition. The light transition is often well lit and sitting at a bench. Knowing the general types of scope is not enough to make a good purchase. You need to know some principals to function this device properly to get great satisfaction. Here are seven tips that you absolutely can’t miss. It’s virtually that the higher diameter tubes, the larger and heavier the scope is. But with the larger internal components, your scope will manage light better. The tip is: take the 1-inch models under your consideration in case of long hikes. The optics need to be kept as compact as possible. The 1-inch model might not be good at light management but will save ounces on your rifle. 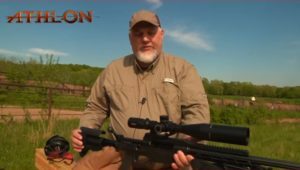 Check out 30mm diameter scope if your shooting and hunting activities are quite stable. You may benefit from the feature they can offer. Exit pupil plays a key role in light performance. It is calculated by dividing the diameter of an Objective lens by the magnification. 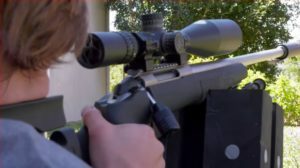 For example, with a 2.5-10×50 rifle scope, the exit pupil ranges from 20mm on 2.5X to 5mm on 10X. Being in low-light conditions, the above 4mm exit pupil provides you with an appropriate and adequate amount of light. While in brighter conditions, a smaller one is more suitable. 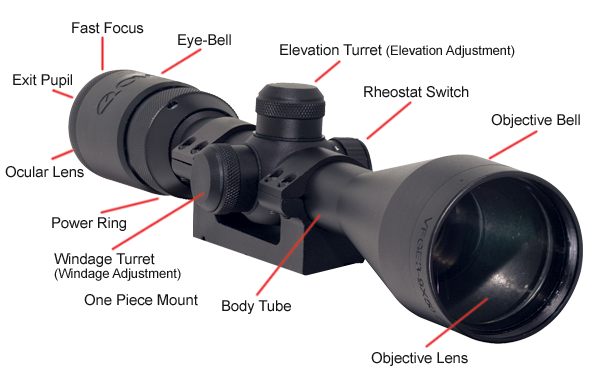 The tip is: if you possess a hunting scope, it should go with 4mm exit pupil throughout the magnification range. You need to understand the trade-offs in performance. Over – alignment might cause more perceived problems with your scope. The tip is: The goal when you mount a scope had better be zero adjustments to the turrets to sight the optic in. Diopter helps you focus on a target. 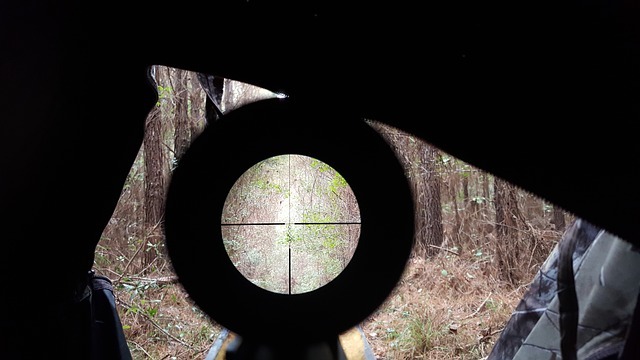 Set your eye closer than 20 feet to the scope, adjust the diopter until you can see the reticle clearly. If diopter adjustment goes wrong, your reticle will be fuzzy so it’s impossible to aim correctly. Plus, having the diopter improperly aligned will lead to a headache. The tip is: Feel free to ask the shop for an AO or side-focus feature in order to adjust target clarity. The tip is: Understand what you want the scope to perform and ask the shopkeeper for the consultant. For example, stay away from the Mil-Dot if you need a ballistic reticle. Parallax error can cause some impacts to the reticle and the target as well. It’s important that you have to focus on the adjustment but it doesn’t mean parallax error can be resolved. On the other hand, correcting parallax does not mean you can totally focus on your target. The tip is: if parallax correction is not a big deal, keep it as simple as possible. Complicate this feature might cause more errors. The tip is: FFP scopes are expensive but it worth if you want the Mil-Dot reticle. An SFP (second focal plan) scope is cheaper and it would be a good choice if you need the flexibility that you use it with different rifles. I hope that you now are equipped with enough knowledge about your scope and can apply it into your life as an expert.